The dream of Rocker Chixx is to bring together women and girls in a comfortable and safe space to have a rocking good time singing as an energized ensemble. We want to sing, and not just to challenge ourselves, but also to give voice to our creative spirit. Some songs we learn by ear, some with music. Don’t panic if you get confused or challenged! If you hold up your part of the commitment - listen, practice, show up, and ask for help when you need it and support others when they need it - we’ll be just fine. We take the challenges in stride, in joy and together. Most of all, we give permission for our own and other’s Diva light to shine! Backed by an all female band of local musicians, we also seek to create a more connected and positively supportive community for female talent amateur and professional. 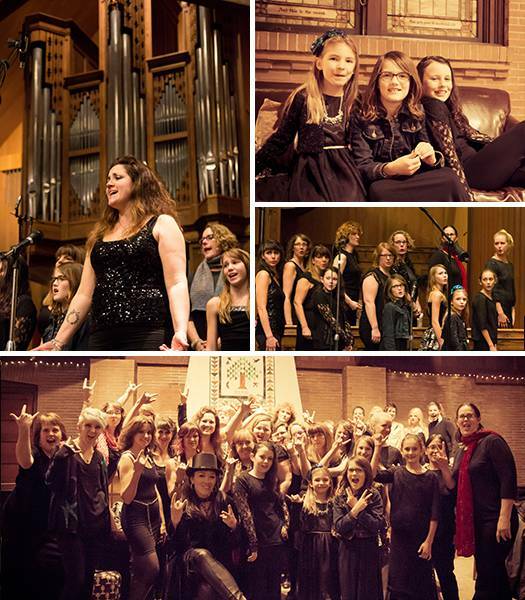 RCC sings music that empowers and brings women and girls together through voice. Repertoire includes rock, pop, blues, soul/R & B, gospel, americana and alternative. Singing in 2-3 part harmonies with opportunities for soloing. No audition and no experience necessary! Our repertoire features solid female artists and crosses several genres, so there is something for everyone. We sing songs by Adele, Aretha Franklin, Mary J. Blige, Lorde, Heart, Alison Krauss, Stevie Nicks, Dolly Parton, Liz Phair, Alicia Keyes, Pretenders…these are just a small sample of women artists we rock out to. With a degree from Berklee College of Music, Director Teri Untalan has taught and performed for over 20 years. 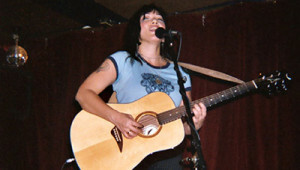 As a singer, songwriter, and instrumentalist, she’s played stages from L.A., San Francisco, Seattle, all the way to New York. She has also played locally and sang in rock, jazz, classic country, funk/dance, soul, eclectic pop, jam bands and classical ensembles. This wealth of experience also includes multiple album recording credits, as a studio musician. Not content with pure performance, Teri also embraces a passionate worldview of furthering music education for others. This philosophy has led her to working with public and charter schools, non-profits, and freelance work with instrumentalists, vocalists and string ensembles. And this philosophy has certainly led her here, to Rocker Chixx Choir. She’s a powerhouse of experience and education, bringing raw enthusiasm and an unquenchable desire to bring out your fearless voice.